DOD's Paul Warnke Warned in Early 1969 that Israeli Nuclear Program is "the Single Most Dangerous Phenomenon in an Area Dangerous Enough Without Nuclear Weapons"
Washington, D.C., September 12, 2014 – During the spring and summer of 1969, officials at the Pentagon, the State Department, the Central Intelligence Agency, and the White House debated and discussed the problem of the emergence of a nuclear Israel. Believing that Israel was moving very close to a nuclear weapons capability or even possession of actual weapons, the Nixon administration debated whether to apply pressure to restrain the Israelis or even delay delivery of advanced Phantom jets whose sale had already been approved. Recently declassified documents produced in response to a mandatory declassification review request by the National Security Archive, and published today by the Archive in cooperation with the Nuclear Proliferation International History Project, show that top officials at the Pentagon were especially supportive of applying pressure on Israel. On 14 July 1969, Deputy Secretary of Defense (and Hewlett-Packard co-founder) David Packard signed a truly arresting memorandum to Secretary of Defense Melvin Laird, arguing that failure to exert such pressure "would involve us in a conspiracy with Israel which would leave matters dangerous to our security in their hands." In the end, Laird and Packard and others favoring pressure lost the debate. While National Security Advisor Henry Kissinger supported some of their ideas, he also believed that, at the minimum, it would be sufficient for U.S. interests if Israel kept their nuclear activities secret. As he put on his draft memo to President Nixon on or around July 19, "public knowledge is almost as dangerous as possession itself." Indeed, Nixon opposed pressure and was willing to tolerate Israeli nuclear weapons as long as they stayed secret. In April 2006 the National Security Archive published Electronic Briefing Book (EBB) 189, titled "Israel Crosses the Threshold" and edited by William Burr and Avner Cohen (now with the Monterey Institute for International Studies). 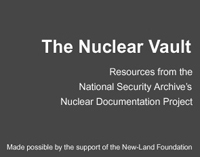 That collection included some 31 documents revealing how the Nixon administration responded in its first year in office to the challenge of the emergence of a nuclear Israel. The EBB focused largely on the tale of National Security Study Memorandum (NSSM) 40, a request for an interagency study and recommendations regarding Israel's nuclear program, the only NSSM from the Nixon era whose actual title was still classified in 2006. That EBB provided the first glimpse of one of the most sensitive policy debates that took place in 1969 among Nixon administration officials. The documents published in 2006 illuminated only a limited portion of the drama, as a great deal remained unknown, especially the intelligence findings that made senior officials worry over how far Israel had gone in crossing the nuclear threshold. While the documents then available did show that the Pentagon favored putting pressure on Israel, it was unknown who exactly within the Defense Department was most responsible for generating the momentum that eventually led Kissinger to initiate the NSSM 40 process. Earlier this year (2014), in response to a mandatory declassification review appeal filed by the National Security Archive in July 2009, the Interagency Security Classification Appeal Panel (ISCAP) declassified additional documents and information that shed brighter light on this highly sensitive policy debate. NSSM 40 is now declassified and published for the first time as is the formal interagency response to it. The intelligence reports prepared during the NSSM process remain classified, however. These along with other documents in the ISCAP release (including records that were declassified in 2007 and material published in 2006) elucidate the complexity and the enormous sensitivity of the internal debate over how far to apply pressure and what exactly the U.S. should ask of Israel. The interagency response revealed unanimity in goals-Israel should sign the Nuclear Nonproliferation Treaty (NPT) and halt its weapons program-but exposed significant divisions over how far Israel should be pressed and whether Washington should use military sales-in particular, withholding the delivery of Phantom jets, as leverage. There were also differences in how various officials assessed and conceptualized Israel's nuclear status at that time, and what commitments could realistically be asked of Israel. It might well be that the split of opinion between Defense and State allowed President Nixon even more freedom in making his own decision. It appears now that a long memorandum written by Assistant Secretary of Defense Paul Warnke, a holdover from the Lyndon Johnson administration, to the new secretary of defense, Melvin Laird, was important element in the instigation of NSSM 40. Believing that it would be a danger to US interests if Israel acquired nuclear weapons, Warnke argued in his memo of 15 February 1969 that the United States must respond to the new Israeli nuclear reality and asked Laird to "consider another serious, concerted, and sustained effort to persuade Israel to halt its work on strategic missiles and nuclear weapons." Warnke believed that Washington must be ready to exert heavy pressure on Israel, starting with a presidential demarche. The view that it would be a danger to US security interests if Israel acquired nuclear weapons was at that time a largely non-partisan matter. Senior Democrats and Republicans within both the Johnson and Nixon administrations held that view, and both Laird and his deputy David Packard were responsive to Warnke's arguments that the US should apply pressure. To some extent, as Packard suggested in his July memorandum, even Kissinger seems at one time to have been part of that consensus, though his views were somewhat more subtle and variable. This nonpartisan consensus highlights how at the end independent-in fact, secretive and aloof-President Nixon was as he made his own decisions on the matter. Thus, he ruled against using the Phantoms as pressure and in doing so left the United States with no leverage whatsoever. ISCAP's declassification actions take away some-but surely not all-of the mystery surrounding NSSM 40. The details of the intelligence findings that raised U.S. government concerns about the Israeli nuclear program remain classified, and ISCAP upheld excisions made by the Central Intelligence Agency (CIA). The CIA used its statutory exemption to withhold information, but it is not clear whether that was true of all of the intelligence details that were exempted from the documents presented below. The historical picture is far from complete in other areas as well. Most intriguing, we still do not know much about President Nixon's direct involvement in the debate, in particular exactly how, when, and why he ultimately overruled strong advice from senior officials to use pressure against the Israeli government. A draft Kissinger memorandum, declassified in 2007 and included in today's publication, sheds some light on why Nixon may have concluded that keeping the Israeli nuclear program a secret was the optimum solution. Certainly the outcome of the Nixon-Meir secret understanding-which left the Israeli program in place and secret-was significantly different from the recommendations of his key officials (not withstanding National Security Advisor, Henry Kissinger), but to this day we have almost no paper trail on the most important element in the policy puzzle: what exactly went on during the Nixon-Meir one-on-one meeting of 26 September 1969. Indeed, it appears that no record exists in the national archives of either country that reveals what was agreed to at the meeting. Except for documents 2, 8, and 10, the following documents are from a file, Israel 471.61, in the 1969 Top Secret records of Secretary of Defense Melvin Laird and his deputy David Packard held at the Federal Records Center in Suitland, Maryland. The file was the subject of a 2006 mandatory declassification review request that led to a final appeal in 2009 by the National Security Archive to ISCAP, which released more information earlier this year. Assistant Secretary of Defense Paul Warnke, a Johnson Administration holdover who stayed on until the new secretary of defense, Melvin Laird, had installed a successor (G. Warren Nutter), wrote this memo to the Secretary to alert him to the new reality that Israel may already possess nuclear weapons or was very close to that point. After having concluded, in November, a long series of negotiations with Israeli Ambassador Yitzhak Rabin on the terms of the sale of F-4 Phantom jets to Israel, and trying unsuccessfully to link the sale with Israel's signature of the Nonproliferation Treaty (NPT) (and also based on some subsequent US intelligence), Warnke became convinced that Israel-for all practical purposes-had just become a de facto nuclear weapons state. In this memo Warnke wanted Laird to understand how serious he thought the Israeli nuclear problem was. Not only did U.S.-Israeli interests diverge, they differed over a problem that was the "most dangerous" in an already dangerous region. While the Israelis had already pledged repeatedly (since 1965) that they would not be "the first power in the Middle East to introduce nuclear weapons," and that they would not use the Phantoms for nuclear missions, Warnke wanted the Nixon administration to go further by reaching agreement on the meaning of "introduce," a concept that was left both vague and open-ended because President Johnson instructed Warnke to back off on this issue. Thus, each country's representative was free to propose his own interpretation. Ambassador Rabin told Warnke in November, saying it was his "personal" view based on his own military experience, that his understanding of "introduction" of nuclear weapons meant a nuclear test or any other act of official public acknowledgement. Warnke, however, argued that to "introduce" meant possession of all the physical components of a weapon. In his view, building the weapon, let alone deploying one, constituted an act of introduction. In the formal exchange of letters that finalized the sale, each government reserved its own interpretation of the act of "introduction." Warnke now proposed that Laird "consider another serious, concerted, and sustained effort to push Israel to halt its work on strategic missiles and nuclear weapons." Resistance would be intense, Warnke acknowledged, and Washington would have to use heavy pressure, starting with a presidential demarche. Any U.S. government discussions of this matter, Warnke suggested, should take place outside of the National Security Council framework because of the matter's delicacy. 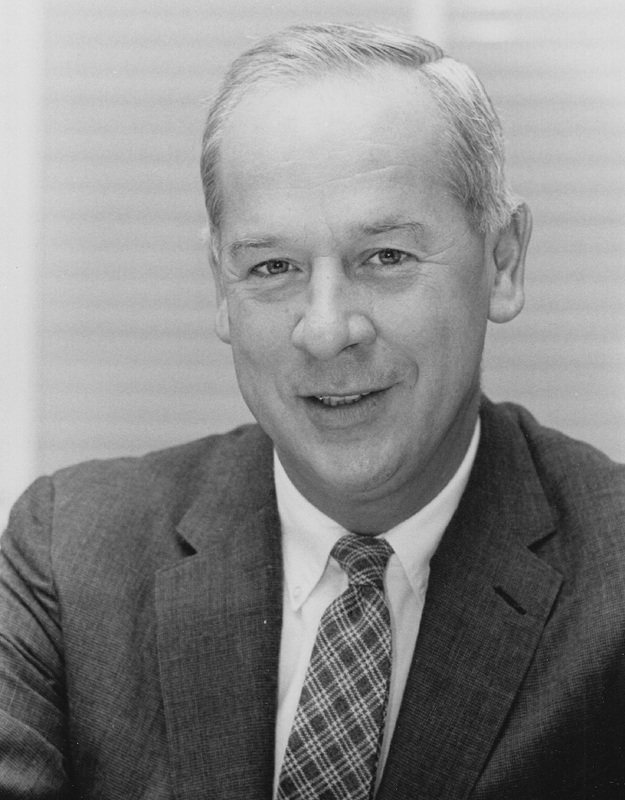 Warnke enclosed with his paper the complete minutes of his negotiations with Ambassador Rabin in November 1968 on the sale of F-4/Phantom jets to Israel. Most of the conversations were published in our 2006 "Israel Crosses the Threshold" [see Documents 3A-D], and an earlier discussion of those negotiations also appeared in Avner Cohen's Israel and the Bomb (1998). But those discussions lacked much of the session on 5 November 1968 [See pages 7-9 of the PDF for Document 1], including a remarkable exchange that ISCAP would not declassify: Warnke told Rabin that the U.S. possessed some "facts" about the Israeli nuclear program that had come as a "surprise and shock to us." Rabin asked what they were, but whatever Warnke said remains classified to this day. A few days after the Warnke memorandum, Secretary of State Rogers brought the Israeli nuclear issue up with Kissinger. The Senate Foreign Relations Committee was reviewing the NPT for ratification and its chairman, J. William Fulbright (D-Ark), wanted to know where Israel stood on the Treaty. Believing that the issue should be handled at the White House level, "probably" not the NSC, Rogers proposed a meeting with Kissinger, Laird, and CIA director Richard Helms. Agreeing to schedule a meeting, Kissinger acknowledged that the issue was also "political." Apparently, the White House high level meeting did not take place, because on 21 February, Ralph Earle, a senior official at the Pentagon's Office of International Security Affairs [DOD/ISA], who had worked closely with Warnke, sent Laird a memorandum, essentially a distilled version of Warnke's longer paper. He proposed that it be sent it to Rogers, Kissinger, and Helms, requesting a meeting on the Israeli nuclear problem. The paper further restated the recommendation to keep the issue out of the National Security Council process. Convinced that there was a serious problem that needed discussion, Laird signed off on the proposed memorandum on 27 February and sent it forward. This "wad" of records (once misfiled and later properly identified) illuminates the scope of the consensus at the Pentagon's top levels that the Israeli nuclear problem is serious and must be addressed and that some pressure would have to be exerted. 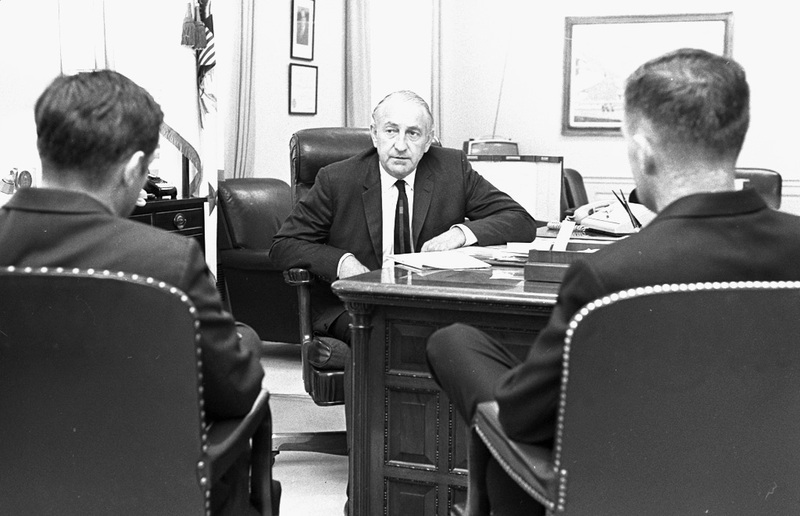 With Laird's original proposal for a meeting apparently remaining unaddressed, his military aide, Colonel Robert P. Pursley, discussed the Israeli nuclear issue with other senior officials at the Pentagon, and drafted another memorandum that the Defense Secretary sent to Rogers, Kissinger, and Helms on 14 March 1969. Believing it was necessary to convey "a sense of urgency," the memorandum restated the earlier [Warnke's] points about the need for a meeting and included new intelligence about Israeli efforts to acquire high speed computers for use in a weapons program (also discussed in Packard's 14 March memorandum). This is a less excised version of the document that was first published as Document 6 in our 2006 "Israel Crosses the Threshold." In his 28 March reply, Secretary Rogers agreed that the computer issue needed more examination along with a further review of policy on sensitive technology exports, but he essentially ignored Laird's request for a meeting and for deliberation outside of NSC channels. Instead, he advised that the Israeli nuclear problem be studied by the NSC Under Secretaries Committee. Proposals from JCS Chairman Earle Wheeler and Ralph Earle, head of the Near East desk at DOD/ISA also favored a presidential-level approach and the application of pressure. Wheeler presented a range of options but favored a demand to "cease-and-desist" a specific nuclear-related activity, a reference to which has been excised from the document. Along the lines of Warnke's earlier proposal, ISA provided Laird with a scheme for a tough approach to Israel that involved a demarche to the Israeli government to "cease-and-desist" certain nuclear and missile [excised] activities and demanding private assurances and ultimately Israel's signature on the Nuclear Nonproliferation Treaty (NPT). In exchange, Washington would provide assurances of steady military assistance. To seal such a deal, Earle proposed an exchange of letters between President Richard Nixon and newly sworn in Prime Minister Golda Meir, for which he provided drafts. Probably motivated by the pressure from Laird, and seeking White House control over the discussion, Kissinger initiated a formal bureaucratic process to address the question of how the U.S. government should respond to the emergence of a nuclear Israel, a review process managed by Kissinger's NSC staff, known as NSSM 40 by the few in the bureaucracy with a need to know. Through the NSSM, declassified in full only earlier this year, Henry Kissinger tasked the DCI, the Secretary of State and the Secretary of Defense to prepare a report for the President that included the latest intelligence findings on the Israeli nuclear program and policy options with recommendations that the President could use in making decisions. Normally, Gerard C. Smith, the director of the Arms Control and Disarmament Agency [ACDA], would have had a place at the table in preparing this report, because nuclear proliferation issues were part of his portfolio. Even though Smith was a Nixon appointee, Kissinger excluded ACDA from NSSM 40, perhaps because he worried that Smith might align with Laird, which could make it more difficult for the White House to choose whatever option it favored. Also, the Atomic Energy Commission (AEC), headed by Chairman Glenn Seaborg, an organization that would normally participate in such discussions, was not involved (perhaps because Seaborg was a Kennedy appointee). Kissinger had requested a response to NSSM-40 by the end of April, but it took another month for the agencies involved to prepare the report, which reflected interesting differences in perspective. Beginning with a summary, it included sections on "Israel's Nuclear Weapons Intentions," "Implications," and "U.S. Policy." The State Department and the Defense Department agreed that Israel should sign the NPT and provide assurances not to produce nuclear weapons, but they disagreed on what should be done to get there. Given the basic differences, this may well be the only formal written interagency response to NSSM 40. The State Department, with some dissent from the Bureau of Politico-Military Affairs (J/PM), favored a "graduated approach, by which we begin with essentially persuasive tactics but maintain the flexibility to move to tougher policies depending on the Israeli response." Thus, if the Israelis were "unresponsive," Washington could "make it clear" that Israeli pursuit of nuclear weapons would impose a "major strain" on the relationship, risking U.S. weapons supply. By contrast, the Pentagon wanted to "move more swiftly, place more demands on Israel, and adopt from the outset a more determined attitude than the Department of State proposes." The "Talking Paper" prepared for the NSC Review Group meeting summarized the disagreements in the inter-agency report discussed above. Nutter (Paul Warnke's replacement) and Johnson both affirmed the need for high-level pressure; if the Israelis were unresponsive to U.S. requests for assurances it would "affect our ability to continue the present U.S. relationship with Israel." Citing the recent developments at the Senior Review Group, Kissinger proposed an NSC meeting on 16 July 1969 to discuss the Israeli nuclear problem. So far as can be no records have surfaced indicating that such a meeting ever took place. 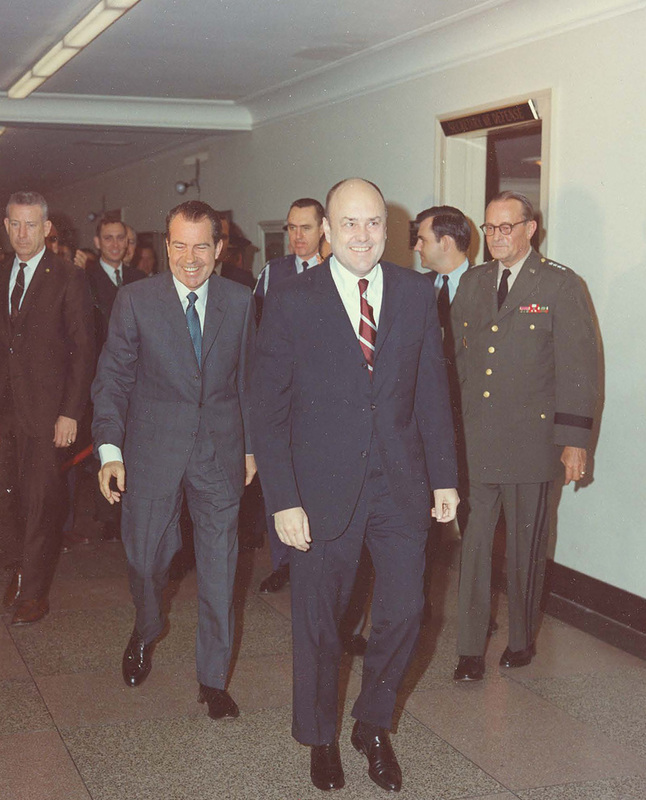 On 26 June 1969, some weeks after the completion of the interagency response to NSSM 40, a meeting of the NSC Senior Review Group tried to manage the disagreements. Bridging the gap between Defense and State, both Packard and Under Secretary Elliot Richardson favored a tough approach, which was further reflected in a truly arresting memorandum that Packard sent to Laird on 14 July. He argued that failure to exert pressure on Israel "would involve us in a conspiracy with Israel which would leave matters dangerous to our security in their hands." Packard enclosed a top secret "Scenario for Discussions with Israel of Their Nuclear Program," which he said represented a consensus of the Defense leadership, Kissinger, Richardson, and Helms. Kissinger may well have agreed with Packard at the time but soon shifted his thinking, probably in deference to President Nixon's inclinations. Packard noted that the NSC scenario paper did not fully reflect some aspects of the objectives and conclusions apparently because they were too sensitive or conceptually subtle to write down. Nevertheless, getting Israelis assurances and signature on the NPT remained major goals. The essence of the plan was for the two deputies, Packard and Richardson, to hold at least two meetings with Ambassador Rabin. In the first, they would tell Rabin that in order to tie up "loose ends" from the November 68 Rabin-Warnke discussions, the United States still wanted to discuss the NPT and Israel's nuclear weapons intentions, without explicitly declaring that the Phantom jet deliveries was at stake. If Rabin was not responsive, Packard and Richardson would ask for another meeting. If Rabin "stonewalls," they "would make it clear to [him] that a lack of response on Israel's part raises questions regarding our ability to continue meeting Israel's arms requests." After Packard sent his memo to Laird, Kissinger assessed the discussions at the two Senior Review Group meetings and appears to have reached somewhat parallel conclusions. This fascinating memorandum was declassified some years ago, after the publication of "Israel Crosses the Threshold." The file at the Nixon Library includes no evidence about how this memorandum was used, whether it was a working draft, a final draft, or whether some version of it actually went to President Nixon. Kissinger may well have used it for discussion purposes with Nixon. The memorandum lays out substantive and significant line of thinking about the complex problem raised by the Israeli nuclear program. When it was written, Kissinger still seems to have believed that the Phantom delivery could provide some leverage for reaching an understanding with Israel on nuclear issues before the jets were delivered. Such an understanding could provide for Israel's signature on the NPT and its agreement to define "introduction" of nuclear weapons as "physical possession," thus placing some limits on what Israel could do. That would be difficult to obtain, Kissinger acknowledged, but he thought it possible to persuade the Israelis that with all of the NPT's loopholes signing it would not prevent them from continuing their weapons research and development. Yet Kissinger clearly recognized the real possibility that nothing could be done to stop the Israeli development momentum and that as long as they kept their weapons program secret, it would not disturb the regional and international environment. As he put it, "Saying that we want to keep Israel's possession of nuclear weapons from becoming an established international fact may come very close to describing what we really want in this case." 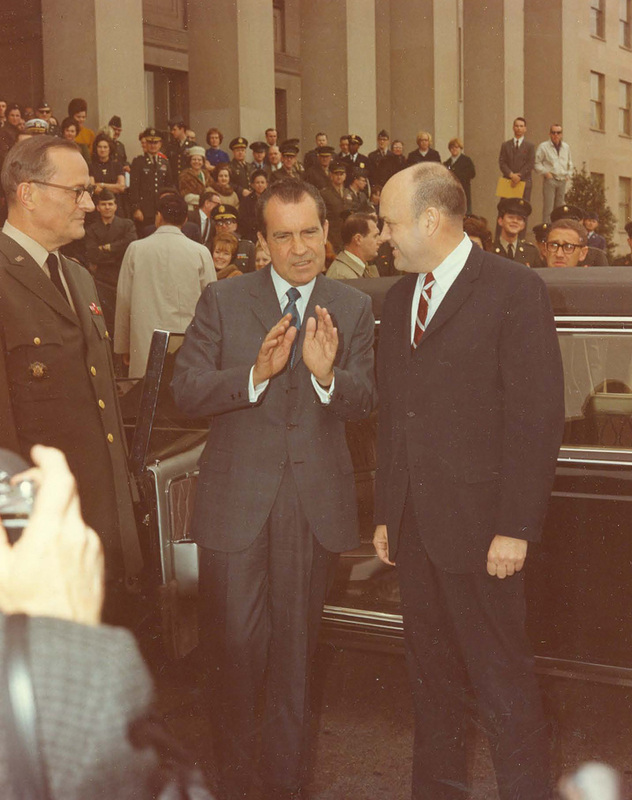 At the end of July, according to SRG proposal that Nixon approved, both Packard and Richardson met with Rabin; Richardson read a relatively tough statement and asked for assurances that non-introduction meant non-possession of nuclear weapons. That, however, was as far as the pressure went. Some of the documents posted in the first "Israel Crosses the Threshold" help explain why [See in particular Documents 11 and 12]: Secretary Rogers liked the scenario, but he told Richardson that he did not want to "explicitly state the threat"; moreover, Nixon was "leery" about using the Phantoms as leverage to secure Israeli nuclear concessions. Richardson later met with Rabin and made a strong statement about the need to sign the NPT [See Document 15], but the reality was that he was not in a position to back it up. In the absence of the "lean on" approach that Packard had favored, the Israelis did not need to worry about a confrontation as Prime Minister Meir would learn personally when she met with Nixon in September. Avner Cohen, The Worst-Kept Secret: Israel's Bargain with the Bomb (New York: Columbia University Press, 2010), 27 and footnote 70. For an historical commentary on the NSSM 40 process see also Avner Cohen, The Worst-Kept Secret: Israel's Bargain with the Bomb (New York: Columbia University Press, 2010), 9-23.